YOU WANNA SEE A GORGEOUS PEOPLE PUSHER . . . COME IN AND CHECK OUT THIS 1- OWNER . . . LOADED UP . . . EVER POPULAR . . . .8 PASSENGER . . . ODYSSEY EX-L . . . . WITH POWER SLIDING DOORS / / / POWER SUN-MOON ROOF / / / DVD ENTERTAINMENT SYSTEM / / / 6 DISC CD PLAYER / / / ROOF RACK / / / PRIVACY GLASS / / / AND YES IT CAN BE HAD FOR A SMALL PAYMENT AND INCLUDING A WARRANTY AS WELL . . . . $AVE BIG BIG $$$$$ WHILE RIDING IN STYLE !!! Information deemed reliable, but not guaranteed. Interested parties should confirm all data before relying on it to make a purchase decision. All prices and specifications are subject to change without notice. Prices may not include additional fees such as government fees and taxes, title and registration fees, finance charges, dealer document preparation fees, processing fees, and emission testing and compliance charges. Internet special price may not be compatible with dealer sponsored or subsidized subprime financing. 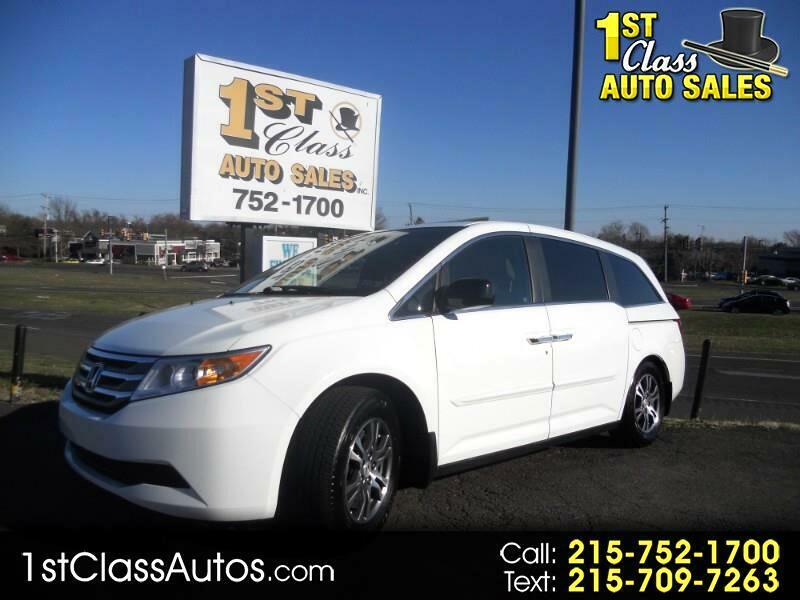 1st Class Auto Sales is here to help you find the ideal vehicle to meet your needs and your budget. Check out our selection of top quality preowned cars, trucks, suv's and vans today.